Unsure If a Root Canal Is Right for You? Find Out Here. Are you considering an endodontic procedure? You’re not alone! 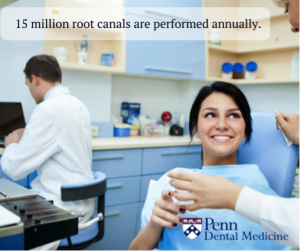 Each year, more than 15 million root canals are performed, with more than 41 thousand being performed each day. 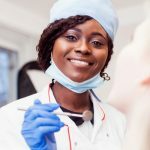 You may not be sure about endodontics, and you may have some questions before you decide to visit an endodontic dentist. 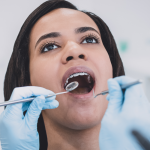 You could be wondering what endodontics is, if a procedure is right for you, or what the endodontic surgery experience is like. Here, we’ll answer those questions and help you understand your options! A: In short, endodontics focus on the root of the tooth. In fact, the word is derived from the Greek “endo”, meaning inside, and “odont”, for tooth. An endodontic dentist focuses on preserving the dental pulp and tissue around your teeth’s roots and performs root canal treatments, often just called root canals, to save your existing tooth instead of replacing it. Q: Do I need an endodontic procedure? 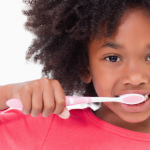 A: If you are experiencing tooth pain, especially extreme pain, then they answer may be yes. 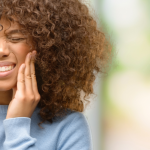 Along with general pain, high temperature, sensitivity, and swelling in your mouth are all other symptoms that may need a root canal. Even if you think your tooth can’t be saved by a root canal, you should still consult with a dentist who specializes in endodontics. These experts pride themselves in saving teeth instead of replacing them, and many times an afflicted tooth can be saved. Q: What will my endodontic experience be like? A: Your procedure will follow the general plan of mapping out your tooth, treating the area, and then cleaning and sealing. The endodontic dentist will use imaging tools, such as an x-ray. Anesthesia and a sterile latex cover will be applied. The endodontist will then access your root and clean the internal area with medicine. Next, a rubber-like substance will be applied to the root, and a temporary filling will be placed in the tooth. Your endodontist may prescribe antibiotics to prevent or stop any lingering infection from spreading. If you’ve decided to visit an endodontic dentist or want more information, consult with us at Penn Dental Medicine at 215-898-8965. We will help you set up a consultation to ensure you get the care you need. Penn Dental Medicine offers patient-centered care from students guided by dentists from the University of Pennsylvania. You’ll receive advice and treatment from the best in the dental field. They can be your best resource for guidance and treatment for your endodontic procedure.